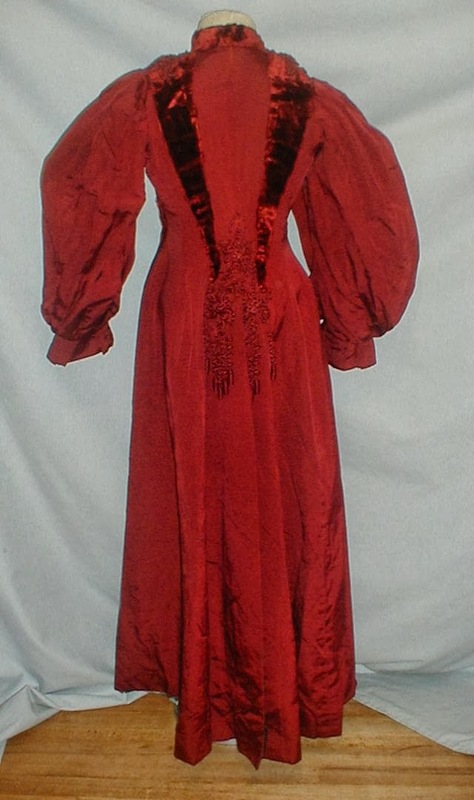 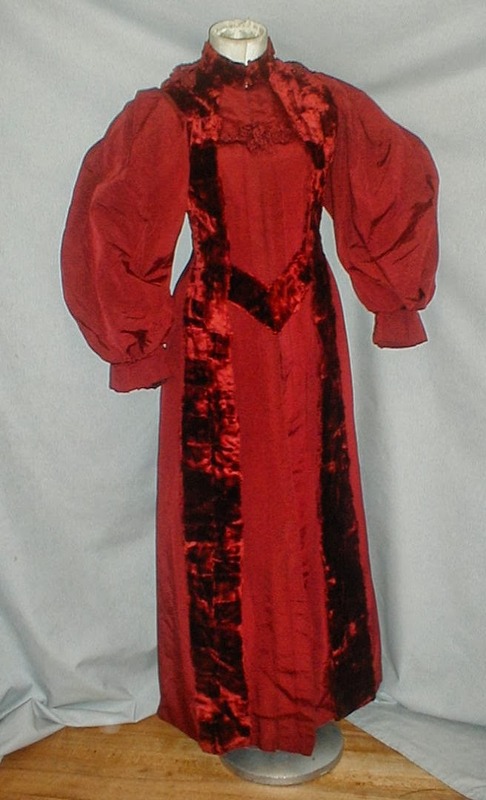 A rich 1895 burgundy silk and velvet coat. 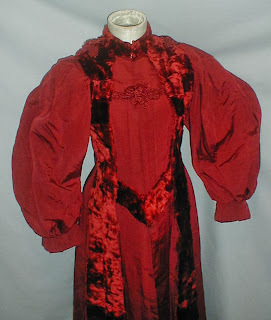 The coat has full leg of mutton style sleeves and a high neck collar. 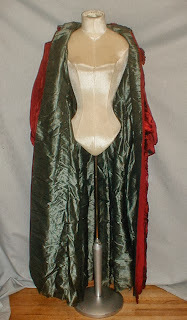 The collar shoulders and front opening are made of velvet. 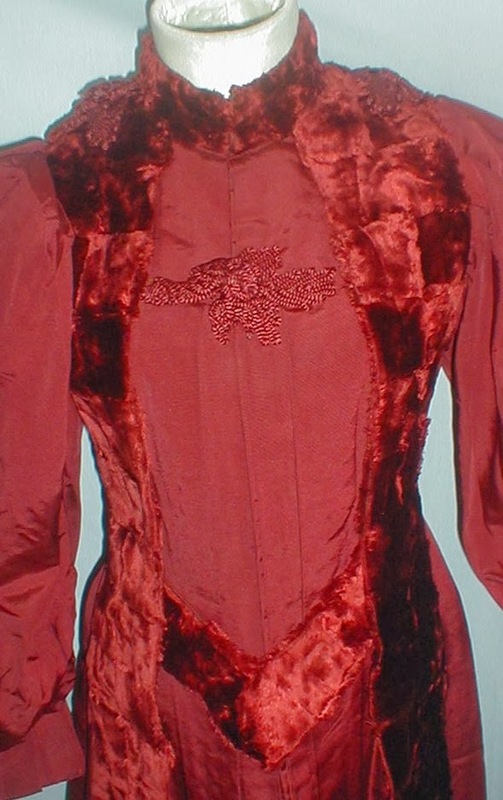 The velvet fabric has a unique checker board pattern. The coat has a front hook and eye closure and a decorative braided burgundy frog closure below the neckline. 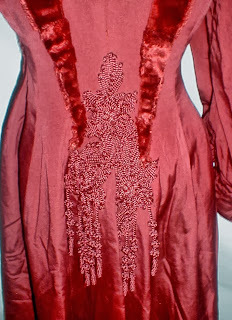 The back waist is trimmed with a braided burgundy appliqué that has long tassels. The coat is lined with blue silk. It is in very good condition. 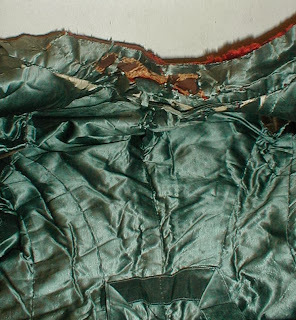 There is some light soiling on the edge of the hemline and the lining is splitting. 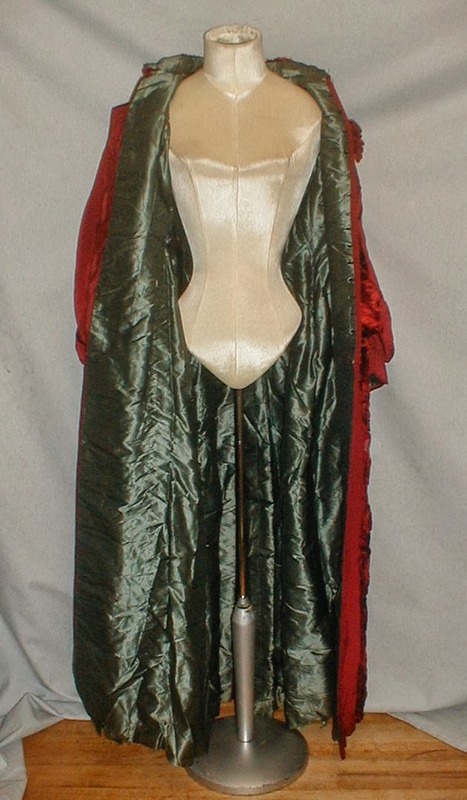 Bust 32 Waist 28 Hips 34 Length 51. 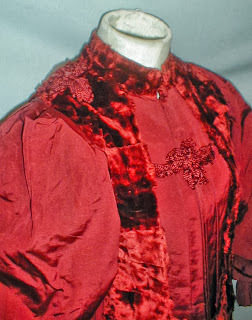 Looking fabulous while staying warm - why can't we do that today?